Every child born is a unique individual. Even identical twins are individuals from birth. Many people don’t know that identical twins do not have identical fingerprints. This has to do with what we call genotype (genetic makeup) and phenotype (the result of the interaction between an individual and their environment. Thus, while twins start out the same genetically, during pregnancy, each interacts slightly different to their environment. This is due to their position in the womb, nutrition, growth rate of their fingers, and other factors. The point is no two children are alike. And though they may have a few or many similarities with their parents, siblings, and other relative,s they also have their own unique traits from the get go and continue to differentiate even more as they grow and develop. I like to look at each child as a unique gift, not only to their parents and family, but to the whole world as well. From birth, parents continue to discover more and more about their child’s talents, likes and dislikes, sense of humor, creativity, curiosity, dreams, fears, desires, and unique personality. 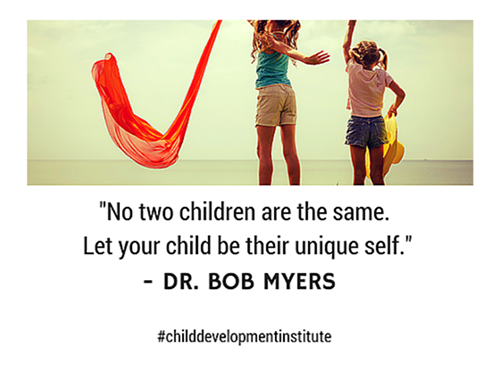 Those who study child development and work with children and adolescents understand that development is a result of both nature and nurture. While a child can excel in a number of ways, affirmation and encouragement from parents and others in their environment makes it more likely that they will actively engage in activities that will enable them to develop those capabilities. Unfortunately, some parents may have preconceived notions about how they want their child to grow up. They may picture them as becoming an athlete, a leader, an entertainer, or a professional in a particular field. 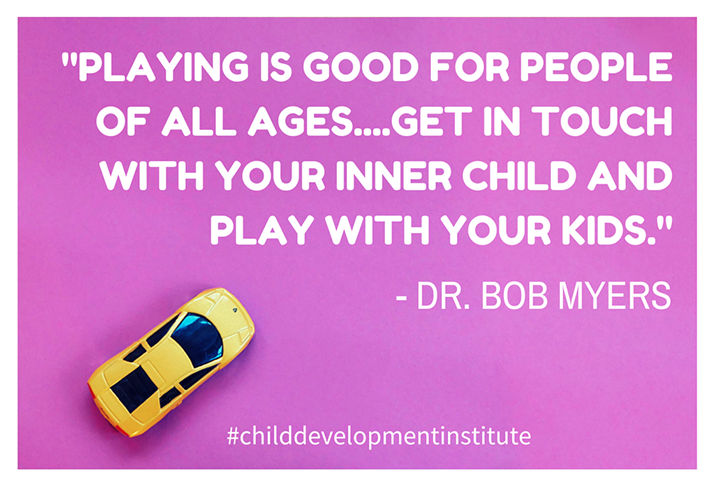 Parents also want their child to be easy to get along with, friendly, cooperative, a quick learner, energetic, curious, and many other desirable characteristics. Some parents show disappointment when their child does not meet their expectations. When parents respond in this way, the usual outcome is a discouraged and frustrated child who may then respond in a number of different ways including anxiety, low self-esteem, lack of self-confidence, or oppositional- defiant behavior. Another obstacle to a positive parent-child relationship is when a child suffers from a developmental disability such as a learning disability, ADHD, Autism, or a speech-language delay, or a medical condition like asthma, diabetes, or a physical disability. When parents are able to see all of the positives and affirm them and provide encouragement while at the same time providing help and support for a challenging condition, a child is able to move forward, grow, and develop. Parental encouragement and support fosters the natural resilience found in children as well as self-acceptance. This helps get both child and parents through the tough moments that enable them to better celebrate all of the positives. Here are some recommendations for how parents can continue to get to know their children, and how to celebrate their lives and provide encouragement to enable them to grow and develop into happy, successful adults. Children should be exposed to all types of opportunities to try new things such as sports, music, art, drama, science, reading, visiting parks, the forest, the beach, museums, hobbies, and anything else you can think of. Encourage them to give it a try. Praise them for trying new things. If they become interested, encourage them and support them in their pursuit. If they feel like giving up after awhile, find out why and encourage them to keep going when things get harder or they become bored or lose interest. At some point we as parents may have to let them quit even when we think they could be successful at the endeavor. Letting them quit without a huge struggle and letting them know the door is always open is the best way to go. 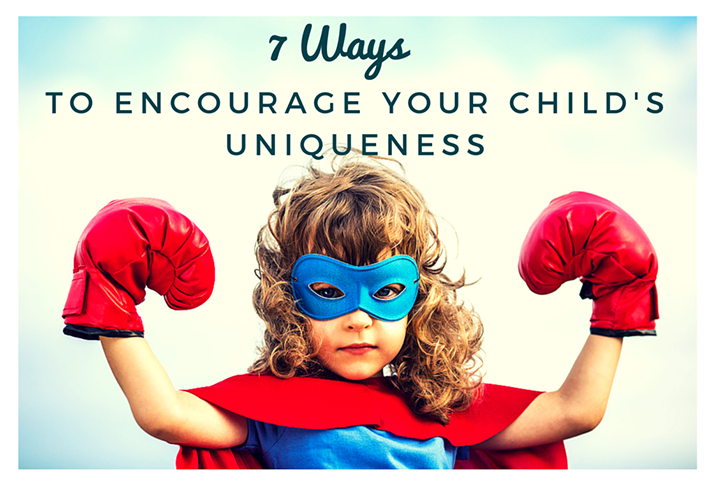 These videos provide both information and inspiration and will motivate you to take more time each day to truly celebrate and encourage your child’s uniqueness.